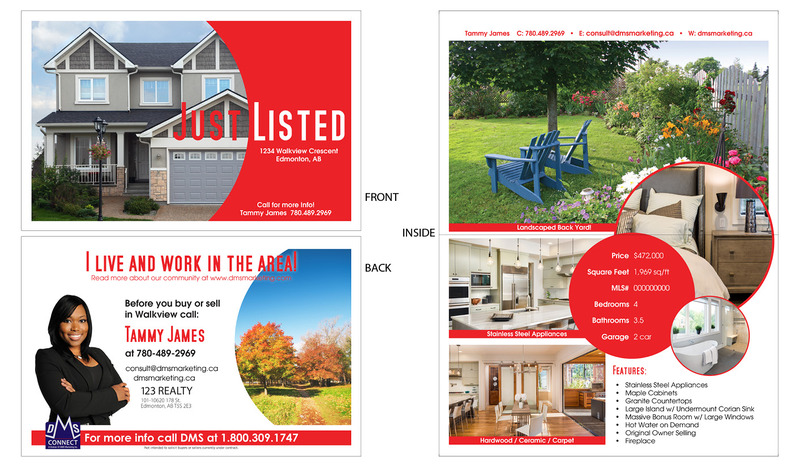 Just Listed cards are a great way to advertise a property for sale in a neighbourhood and at the same time have those neighbours take notice of you and your marketing abilities. Sold cards bolster your skills even further as they show you can get the job done! Sending Just Listed/Sold cards is easy with DMS Connect. 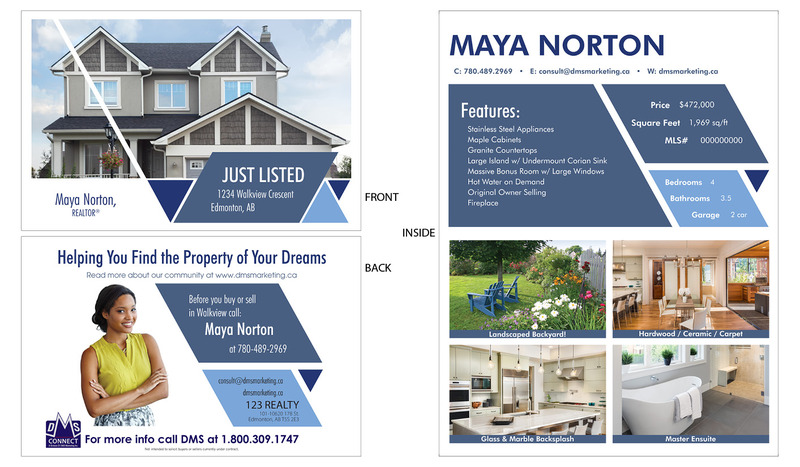 Either choose from one of our pre-designed templates or work with our designer to create one of your own. Then, send us the property information and where you want it to be delivered. We’ll work with Canada Post to have it out to your target neighbourhood as quickly as possible. 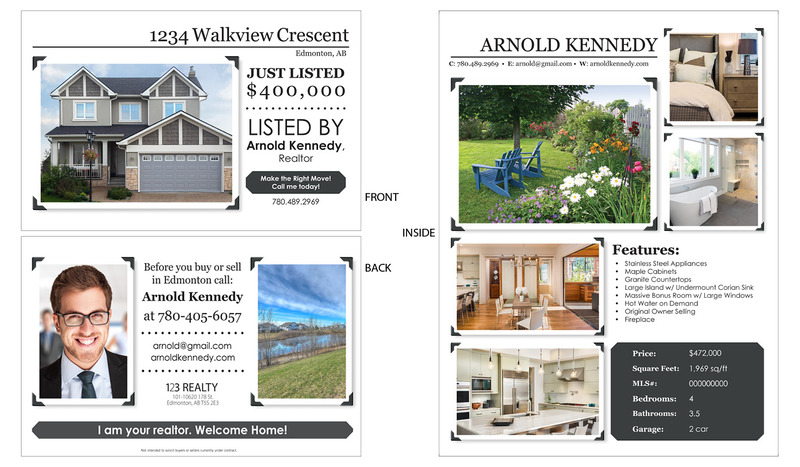 Once you have a template on file, we’ll easily be able to produce cards as you need them. Choose from one of our sample templates – or design your own template. Contact us for more information, we can help you choose your postal walk.